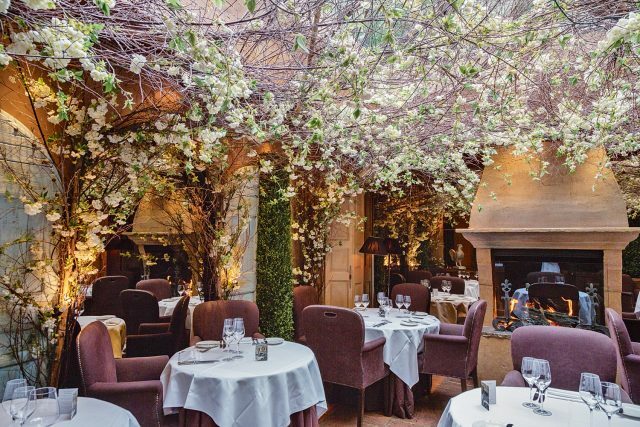 Often cited as London’s most romantic restaurant, Clos Maggiore in Covent Garden brings the outside in with its abundance of white blossoms clinging to branches within the courtyard-like space, where you’ll find a warming fire crackling in winter. The wood-panelled dining room feels more like a grotto with its twinkling lights and fairytale foliage. The overall feel of this not so secret garden is one of Narnia-like enchantment.